Priced to sell! Beautiful 1 bedroom, bunk room and 2 bath condo that will make a great investment or vacation property. 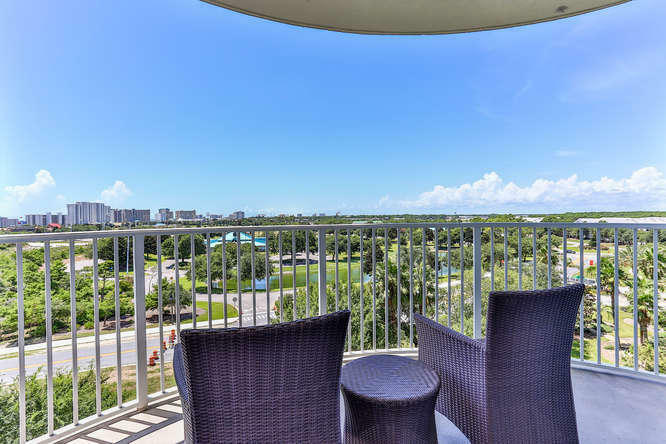 This fully furnished westerly facing unit has partial gulf views and is ready for its new owner. The updated kitchen features granite countertops and maple cabinetry. Great location in close proximity to the beach, great restaurants and shopping. The Palms feels like a luxury resort with its huge lagoon pool complete with waterfalls and jacuzzis. Other amenities include: a children's splash pool, tennis courts, basketball court, fitness center, playground and covered parking. There is also a seasonal shuttle service to the beach.